I still remember how surprised I was when I saw a Twitter hashtag crop up in front of me on the television. “It is not here to stay”, was my knee-jerk reaction. Seven years down the line, and people are ending their phrases like “hashtag-I-told-you-so” and “hashtag-sorry-not-sorry”. My earlier dislike for the hashtags notwithstanding, they have become part and parcel of social conversation among people. They have become mandatory on social medial platforms such as Twitter and Instagram. When it comes to internet marketing on Instagram, hashtags for likes are an essential ingredient. Instagram is one of the biggest social media platforms that demands high degree of engagement, it becomes imperative to comprehend the dynamics behind hashtags and how to employ them. This is a comprehensive marketing guide for Instagram hashtags and it discusses the importance of hashtags, the process involved in creating a hashtag campaign, tools that can help you out in the hashtag research, best practices all over the internet and case studies of small enterprises employing hashtags for likes. This is a wonderful guide for internet marketers, enterprises who are yet to configure their Instagram profiles and even the most casual of the users. Similar to Twitter, hashtags on Instagram become clickable links that direct people to other public posts containing the same hashtag. They can play a pivotal role in continuing a conversation or even starting a conversation between you and your users. This makes hashtags immensely important for Instagram as they provide a conduit for the Instagram users to interact with small enterprises. In a number of cases, users end up clicking on hashtags that are in accordance with their inclinations. On other occasions, they even end up searching for posts with a certain hashtag. You simply have to ensure that your posts are public and then with the relevant hashtags that are in accordance with your audience’s interests, you can expand your outreach. 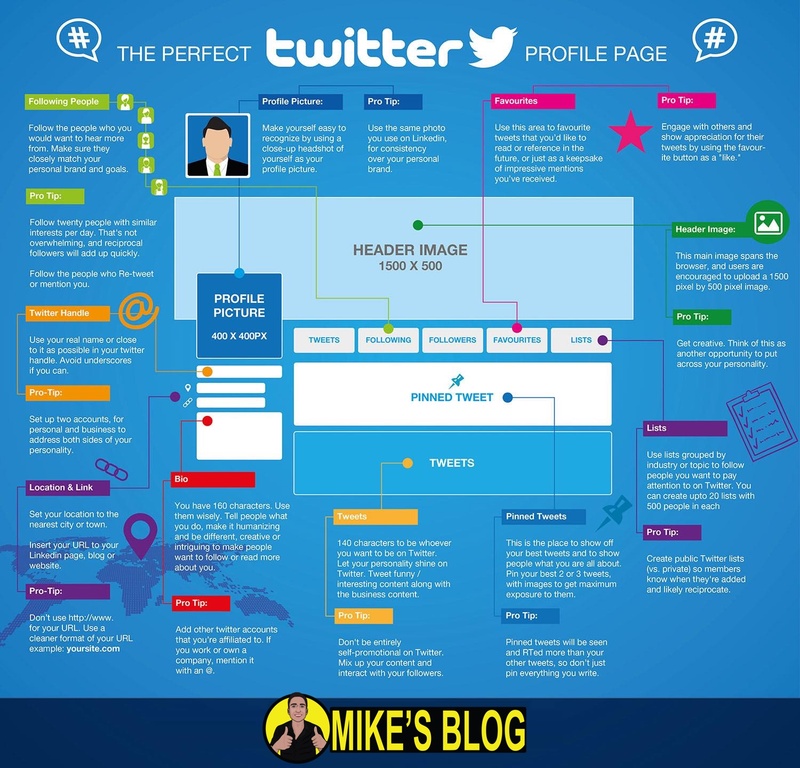 It gives you an opportunity to connect with a huge number of users and get people engaged over your posts. It also allows you to access prospective clients who would never have been able to get in touch with you but for the hashtags for likes. In addition to Instagram advertisements which ask you to spend money, hashtags are the most effective way of assisting your target audience to discover you free of cost. This is mandatory for building a formidable and engaged following on the social media platform. All enterprise can reap rich dividends by employing customized, branded hashtags. Most enterprises attach these customized hashtags to all of their posts and encourage them to share user generated content with them. These hashtags should be simple and as lively as possible. A couple of great examples for small enterprises include #ilove9around and #wheredoyoubarre. It is always a nice idea to incorporate your business name while creating a hashtag. This prevents it from being exploited or hijacked and users will always be aware of the brand behind it. It is suggested that you conduct an extensive research of your customized hashtags before finalizing them and go through them for any mistakes with regard to spellings, errors and double meanings. We will be discussing some brilliant hashtags tools later on in the post. Hashtags are being used by enterprises to enhance engagement and bolster conversation rather than promoting their visibility and bringing about awareness about their brand among their target audience. For instance, hashtags meant for user generated content or hashtags of an event or branded competitions. Instagram hashtag campaigns can become immensely popular and produce great results for brands. These campaigns are based on hashtags that are not the only hashtag being pursued by the brand. These hashtags, as a matter of fact, can serve the purpose of Call to Action such as #wearyellowforseth campaign. In order to launch an Instagram hashtag campaign, you need to forge a formidable concept, goal and objectives that you want the campaign to achieve. Upload tons of posts discussing the campaign, its importance and the objectives that you want to achieve through it. Remember to incorporate a Call to Action either by virtue of a hashtag or general text to stimulate users to take actions that you want them to take. There are certain handy tools that can expedite the research process if you are looking to launch an Instagram hashtag campaign or simply want to find out hashtags that can expand your outreach significantly. Hashtags, as a matter of fact, play the same role on Instagram as keywords do on blog posts and websites. If you end up choosing the wrong hashtags for your campaign, you will not be able to connect with your intended audience and selection of the right hashtags for your campaign can be done in the right manner by virtue of an effective research strategy. There is a wide array of tools available that can assist you with regard to different aspects of your research for the right hashtags. For instance, a tool such as Hashtagify can be handy in creating effective hashtags. Other tools such as Keyhole can assist you in determining the search volume of hashtags. There are three hashtag tools that are the best out there and will do your enterprise a lot of good. These are Hashtagify, Sprout Social and Keyhole. There are tons of resources available on the internet related to Instagram marketing and research that will direct you towards Hashtagify and we are no different than them. Hashtagify is one of the leading tools that you can use to carry out extensive research on hashtags for likes and creating branded hashtags. You simply have to enter a query such as “travel” and the most commonly used hashtags associated with it will be displayed. In-depth details such as separate popularity and their correlation of use with your searched query come up and if you want to create innovative and imaginative hashtags for your enterprise, this tool can help you create one. It can also provide you useful information about other hashtags to enhance your visibility. What’s more, hasthtagify is free to use. The application also provides hashtags for likes tracking specially designed for Instagram. Specific hashtags can be monitored and you can view information such as the number of tweets using them. This can be instrumental in adjudging the outreach and engagement of your branded hashtags. However, this tool is meant for paid subscribers. On the whole, Sprout Social is an effective and handy social media management tool and offers prolific social media research features. The social listening feature incorporated in this wonderful application lets users track how their branded hashtags are performing and the outreach of your hashtag campaigns. It also provides you insights into the topics and hashtags frequently used by you, their linkages and their engagement. If you are looking for a tool that lets you monitor results specific to your branded hashtags, then Sprout Special is the way to go. In addition, Kehole also displays the top posts using the hashtag, and the dates when it was used the most. In addition, it also portrays the relevant topics and posts associated with a certain hashtag. This can give you insights into the quantum of attention that can be garnered by virtue of a particular hashtag and ideas for creating new hashtags for likes. When it comes to hashtags, you will witness ebbs and flows and trending topics will never remain the same either. There are certain hashtags that enterprises prefer to add to the repertoire to get optimum results. The most commonly used hashtag on Instagram is #Love as more than a 100 million posts contain it. Now, these hashtags for likes can offer promising online presence but simultaneously tend to face high competition for engagement. You would want to minimize their usage by employing only one or two of them in your posts and using the ones that are most relevant to your posts and your target audience. You ought to portray yourself as a real human being rather than a spam-bot endeavoring only to get more and more likes. Employ plenty of them: This is certainly not a feature you will find on Twitter because of the limited character count. Moreover, we would suggest you to refrain from using them on Facebook. You can add more and more hashtags on Instagram posts and seek more engagement. There have been a few researches that have showed a direct correlation between the number of hashtags used in a post and the engagement received by it to a certain extent. We would suggest you to use more than one hashtag per post and use at least 11 of them when possible. Ensure that your most relevant and preferred hashtag is right there at the front. Employ local or geographic hashtags: This is a practice that has proven the best in case of local enterprises or those attempting to bolster attendance for a certain event. Hashtags such as #Orlando or #WinterParkFarmer’sMarket can highlight your content for a local, engaged audience. When a user clicks on your profile, enterprise updates can lead them directly to your brick and mortar store. You can also utilize the location tag effectively. Keep chopping and changing hashtags you use: One of the biggest mistakes that an Instagram market can commit is to use the same hashtags again and again. It does not mean that you stop using your branded hashtag but we would suggest you to keep chopping and changing the unimportant hashtags to expand your outreach and connect new users. Consistently use your branded hashtag: Using your branded hashtag frequently in your posts will make the audience acquainted with your enterprise and spur them to get engaged and share user generated content with it. Participate in trending topics as and when possible: If you can create content that is relevant to a certain trending topic, you can exponentially increase the probability of receiving a huge number of impressions. Always conduct extensive researches into trending topics before you go onto using their hashtags to ensure that you do not get caught up in some sort of controversy associated with them. Hashtags for likes in Instagram stories: Now you can search Instagram stories with hashtags in them. Find out the relevant hashtags to your stories and incorporate them to create another conduit for getting your content discovered by interested users. Majority of the tutorials dedicated to informing about the best ways to execute internet marketing approaches and techniques also discuss the way they have been employed by the entrenched market leaders. These tech giants are not the only ones benefitting from an effective use of hashtags on Instagram. As a matter of fact, numerous small and business enterprises are also doing a great job by effectively using hashtags for likes. Here are a few small businesses employing hashtags to their immense benefit. A skillful and dexterous landscape photographer, Johan Persson, harnesses the massive potential of Instagram to showcase prints of his images that he sells. Moreover, he uses hashtags wonderfully well. He uses a nice mixture of specific as well as generic hashtags that assist him in expanding his outreach; sparking engagement and interest among his target audience. Joanna Buyert’s Fringe and Fettle has been a brilliant exponent of Instagram marketing for a number of years; thereby yielding plenty of user engagement and outreach. She advertises her magnificent ceramic pieces on her Instagram page and hence attracts new followers regularly. She uses geographic and event hashtags to find out her prospective clients and assists her customers to find her online portal to purchases her stunning piece of art. She uses hashtags such as #shmidtartists and #millcitymarket to telecast her location and products to her local audience. After coming across her posts on Instagram, the locals can find her at certain events and it also helps people to find out the events at which she would be participating. You simply need to employ the hashtags for likes the right way and your Instagram marketing is done without those phony marketing tools. Instagram has turned out to be a brilliant social media platform that can be greatly employed by enterprises. The business profile update has further added to the marketing potential of Instagram for both small and medium enterprises as well as the entrenched giants. It promises to offer high user engagement and can expand your outreach without a lot of struggle. By employing the right hashtags, you can have your followers increased and your engagement and selling potential can be greatly influenced in a positive manner. Lucky for us, by being aware of the best practices, some brilliant examples to inspire us and some handy research tools, finding or creating the right hashtags to bolster our outreach and engagement is nothing but a piece of cake. What do you think about this post? How do you choose the right hashtags for your Instagram posts? Have you ever used any of the research tools we discussed in this post? Do not hesitate to sharing your opinions, experiences and best practices in the comments section below.